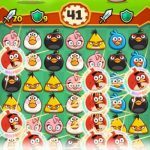 We’ve been giving you strategy guides for a lot of Match 3/matching games lately, and this one happens to come from a company that’s more famous for a different type of game – the physics-based puzzler we all know and love as the Angry Birds franchise. 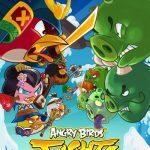 Rovio’s Juice Cubes, unlike the Angry Birds titles, takes things even more casual. 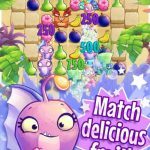 It’s a matching game with more than 300 “deliciously fruity” levels, and the usual assortment of power-ups created when you’re able to connect more than four identical pieces. You get to meet multiple “wacky characters” along the way, and aside from the levels, you can unlock more of these characters as you progress from level to level. With that out of the way, we’ve gathered five Juice Cubes cheats, tips and tricks that will help you unlock more of those levels and characters in the game. We also should add that while Juice Cubes is another one in a series of Match 3 titles, your most basic objective should be to match four or more pieces per turn. We suggest looking for ways in which you can match at least eight fruits in a row. This would allow you to create a super-fruit of sorts that will clear all fruits of the color you match the piece with. When creating this special piece on the board, always remember that the final piece you set up for the match would end up being the special fruit. Make sure it’s strategically placed on the board – this could mean having it next to another special combination, or having it next to an obstacle that has proven problematic to you earlier in the level. The effect of such combo hits will depend on how you position the final piece in the combination. If this final piece is set up vertically, this would clear one column. If it’s set up horizontally, it will clear one row. But if you set up this last piece diagonally, it will clear all nine fruits that surround it, making it a much wiser move for you to end a combo hit of four to seven fruits diagonally. 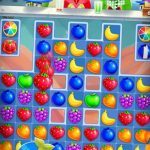 This is where Juice Cubes varies from other Match 3 titles – there will always be one or more differentiating factors that make a Match 3 game different from Candy Crush, Farm Heroes, and other titles, and in here, it’s the fact that fruits that drop down won’t give you a match. Focus on what you presently have on the board, and don’t set your pieces in such a way that you’re expecting a new match to form when new fruits drop in. This is if you want to gain as many points as possible per level. Don’t focus on ending the level with simply the required number of moves – always aim for less. And don’t hesitate to replay levels in hopes of getting a good board and earning a three-star rating.